Eddie Guerrero's WWE title run in 2004 was short lived I can understand he didn't want the pressure but it would have been better if he dropped it around SummerSlam just as his buddy Benoit did. Bryan's a good shout. I wasn't disappointed in Eddie's run, because although it was only four months, he had good matches (including that Judgment Day bloodbath) and it felt just about right considering the character's underdog stature. Bob Backlund in 1994 is another one. Though well past his prime, Backlund's psycho character was fun and totally believable, and I looked forward to seeing Bret chase him to get the title back. Instead, Diesel squashed him, and Backlund gave us the worst Bret Hart PPV match I can remember. Oy. Oh, and Finn Balor's up there. 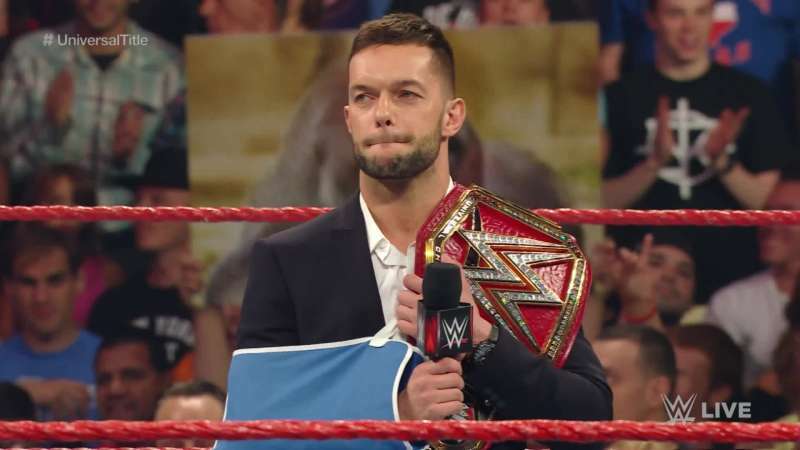 They strapped the rocket to his back and made him the first Universal Champion practically out of nowhere, and 24 hours later he's forfeiting the title and out forever. It might be the most dramatic rise-and-fall in WWE history and the definition of a disappointing title "reign," if you can even call it that. Last edited by Strike Force; 04-15-2019 at 05:55 PM. Tbf his reign didn't really pick up until he turned Heel and gained Heyman as a manager. SUPA HOT FIRE. and Punk_316 like this. That's why I wouldn't list it as an overall disappointment. That's one of my favorite heel runs ever, how he lost it was super disappointing though. Still think he should have gone over The Rock in the first match, even if it was a dirty win. Jinder Mahal. Cancelled my Network subscription because of it. If you mean one I had high hopes for that sucked? Probably CM Punk or Eddie Guerrero.